Pipedrive is a visual sales tool made for salespeople, by salespeople. Since 2010, we’ve been on a mission to help salespeople focus on actions that close deals. Along the way, we’ve been backed with $90 million in funding from Atomico, Bessemer Venture Partners, Rembrandt Venture Partners, Paua Ventures and others. Our team is now located in five countries, building the sales tool trusted by over 85,000 companies. Plenty of companies say they’re a great place to work, but we actually have several awards to back our claims. Pipedrive was named the Best Employer in Estonia from 2016 to 2018, Best Enterprise SaaS B2B Startup by The Europas in 2015 and Best New Tech Center in Portugal in 2017. While we do place a premium on skills and qualifications, it is equally important that potential employees share our core values because we believe it takes great people to deliver a great product. Back in 2010, two of our co-founders Timo Rein and Urmas Purde spotted a gap in the CRM market. As seasoned salespeople, they realized there wasn’t a sales management tool out there catered to the needs of people doing the actual selling. So they decided to build their own. They teamed up with fellow co-founders Martin Henk, Ragnar Sass and Martin Tajur to create a CRM software that puts the needs of salespeople first. The result is Pipedrive. Since the very beginning, Pipedrive’s team has been obsessed with hiring. Not just hiring, but finding the absolute right people to fit the company. Thanks to this, Pipedrive has received many awards for our strong culture, performance and leadership. 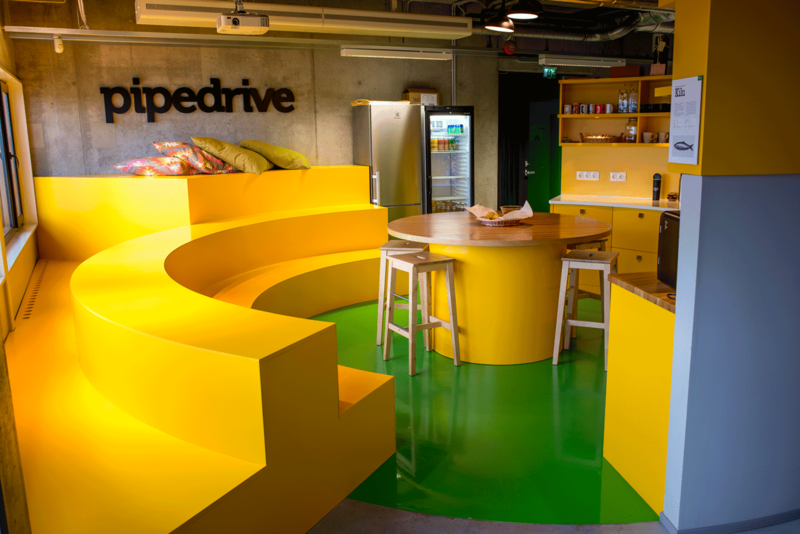 The Pipedrive team is diverse and spreaded between a handful of global offices. Because we’re all about people, we’ve grown in locations where the right people are located. Product development happens in Tallinn, Tartu, Lisbon and Prague. You’ll find our marketeers mainly in London and Tallinn. We also have an office in New York to take care of our customers across the Atlantic. All together we’re a team over 400 people strong. Pipedrivers not only work hard, but play hard as well. Our Slack chats are constantly bubbling with jokes and event invitations, and you’d be hard-pressed to find a hobby or interest that isn’t represented. Since the team is so multicultural and has people with all kinds of expertise, there’s always something to learn from each other. We’re a software as a service company, so we focus on making Pipedrive sales CRM as kickass as possible. We’re not afraid to try bold, new solutions to improve our processes and keep our people happy. 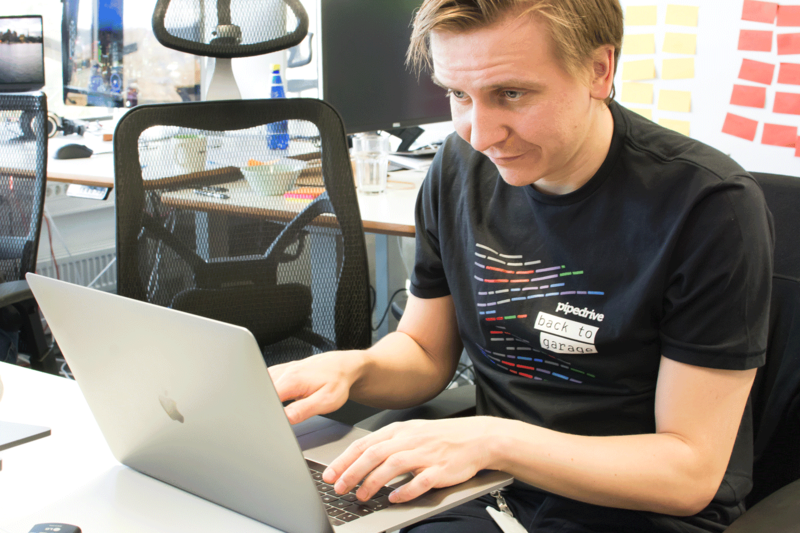 See how the magic happens in our engineering and product teams. How have so many amazing people ended up at Pipedrive? Our core values have helped us hire not only the perfect professional fits, but also maintain a unique culture that has so many people saying their favorite thing about working here is “the people”.